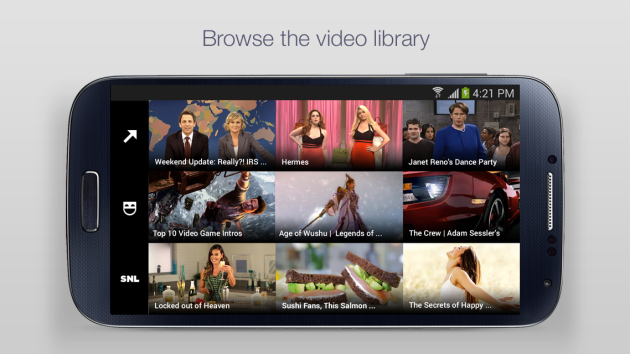 Yahoo Screen, Yahoo‘s video streaming service, was released to Android today. 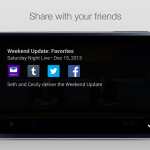 Yahoo is already offering an iOS version of the app, and today it was finally brought to Android. The video streaming service puts a larger focus on small clips rather than full episodes, and it offers a mixture of comedy, sports and music. It even has some original programming. Yahoo Screen, for example, offers a huge backlog of Saturday Night Live sketches, all for free. Hit the break for screenshots and the Play Store download link. Yahoo Screen may just be the start of Yahoo’s streaming services. Rumors suggest that Yahoo is getting ready to take on YouTube.